RAJANPUR: Rajanpur Deputy Commissioner (DC) Allah Ditta Warraich on Tuesday accused Pakistan Tehreek-e-Insaf (PTI) Member of National Assembly (MNA) Sardar Nasrullah Khan Dreshak and his son Sardar Ali Raza Dreshak of political interference in his affairs by pressurising him to transfer revenue officials and officers of Border Military Police (BMP). 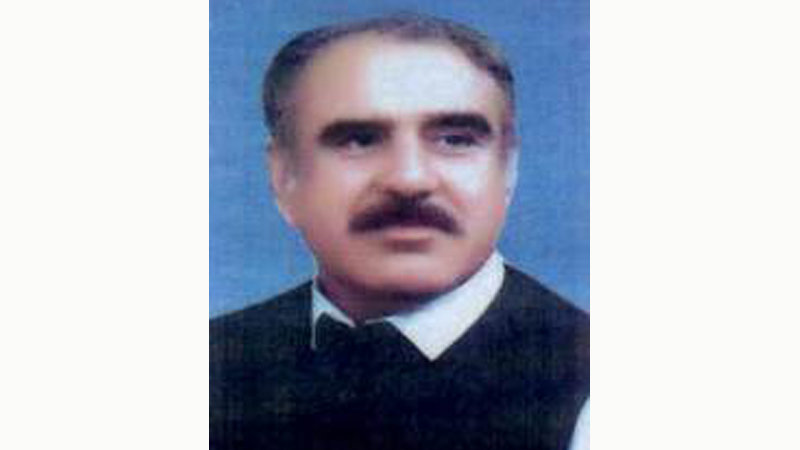 In this regard, he wrote a complaint to the Dera Ghazi Khan Commissioner, chief election commissioner and Punjab chief secretary, in which he alleged that MNA Sardar Nasrullah and a Member of Provincial Assembly (MPA) Awais Dareshak came to his office and ordered him to transfer revenue officers (patwaris) and BMP officers according to their whims and caprices. He has stated that Sardar Nasrullah asked him to “transfer In-charge Daffadar BMP Post Mari Firdaus Gurchani as he had been supporting his political rival Sardar Sher Ali Gorchani, the former deputy speaker of the Punjab Assembly. He further alleged that the MNA ordered him to refrain from appointing any officer without his consent, and expressed dissatisfaction with him over not appointing BMP Jamadar Shahid Hassan Gorchani, who died later. The DC has stated that Sardar Nasrullah said that he was in opposition for the last 10 years, and now he would ensure ‘appointment of good BMP and revenue officials’ after winning election in his constituency. The DC also complained that the MNA did not shake his hand as he did not receive him outside his room. He urged the concerned authorities to take a stern action against the MNA according to the Constitution of Pakistan for interfering in his affairs and humiliating a government officer.